If you are injured in a workplace accident, Massachusetts law requires you to give notice of the accident in a reasonable period of time to a person in a supervisory capacity. If your place of employment has a relationship with a preferred provider, you must go to that physician or clinic if instructed by your employer for your FIRST visit. After that, you are free to go to your own physician. The employer has 7 days to inform the insurer about the incident, assuming time is lost, and then the insurer is required to pay or deny the claim within 14 days. If a denial is processed or 30 days has gone by, you have the right to file a claim with the Department of Industrial Accidents. Ultimately, if no resolution is reached, a judge hears the matter and an order is issued. Although early on the process is less formal, if a Hearing is later required, rules of evidence are followed. 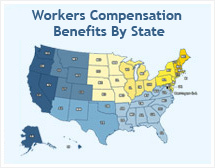 Full medical benefits are provided to employees entitled to worker's compensation benefits, with no time or monetary limits. Initial choice of physician is made by the employee. Payments are made for temporary total disability (TTD) in an amount determined by a percentage of the worker's wage, subject to a weekly maximum payment amount. Payments may continue for the up to 156 weeks. Payments are made for permanent total disability (PTD) based upon a percentage of the worker's wage, subject to a weekly maximum payment amount. Payments for PTD continue for the duration of the disability. Payments for permanent partial disability (PPD) are made based upon a percentage of the worker's wage, subject to a weekly maximum payment amount. Payments for PPD will ordinarily continue for up to 260 weeks, but may in certain cases be extended to up to 520 weeks. PPD payments are subject to reduction by unemployment insurance and Social Security benefits. Scheduled awards are paid in addition to total temporary disability benefits starting directly after the accident. Scheduled awards are not reduced because of receipt of TTD benefits. Benefits may be available for bodily disfigurement, except that disfigurement based on scarring is not compensable unless the disfigurement is on the face, neck or hands. Physical and vocational rehabilitation benefits are available. With certain constraints and filing deadlines, occupational hearing losses may be compensable. Death benefits are payable to an employee's surviving spouse, or spouse and children, based upon a percentage of the employee's wages, subject to a cap. A minimum benefit is provided regardless of the employee's earnings. A burial allowance is available. The waiting period for compensation benefits after the injury is five days. Compensation is retroactive if disability continues for 21 calendar days or more. NOTICE: These questions and answers concern Massachusetts law only, and should not be construed nor relied upon as reflecting the law in other States, nor as giving legal advice. You are warned that circumstances often vary greatly and that, due to changing decisions and law, the answers to these questions may change over time and not be current, and you should consult an attorney in any specific case, and NOT rely on these questions and answers as giving anything other than general information.